This Kyre model features a custom handmade design from TK Knives. TK Knives offer high performance, practical knives that are made in the Czech Republic. 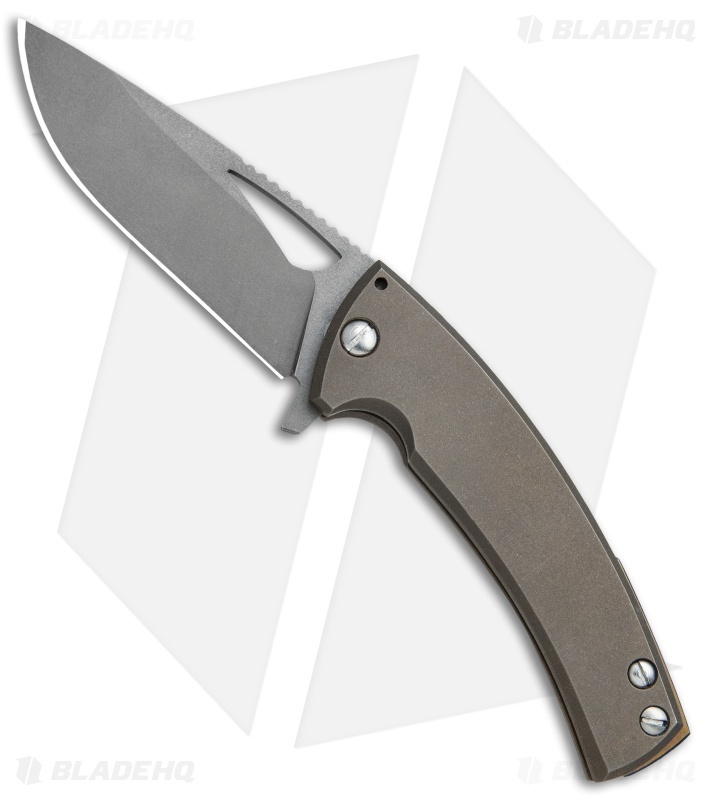 This version of the Kyre is built with a bronzed titanium handle and a dark blast drop point blade. The blade is made from Bohler N690 steel that has been custom heat-treated and sub zeroed by TK Knives. 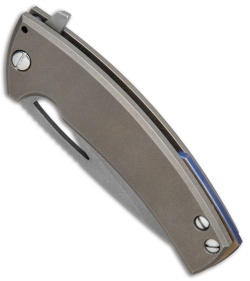 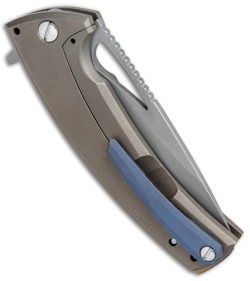 Titanium hardware, and a blued titanium pocket clip, and backspacer finish off the impressive custom design.